The Texas Diversity Council’s DiversityFIRST™ Leadership Award is awarded annually to individuals who demonstrate outstanding accomplishments in the promotion and advancement of diversity through inclusion and strong leadership. Leadership qualities should include the following. A track record of balanced decision-making and an appreciation for multiple perspectives. A breadth of perspectives, a range of experiences that reflect flexibility, and the ability to transcend narrow experiences and issues. A demonstrated ability to value and respect diverse points of view and varied ways to approach issues and topics. 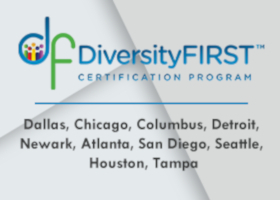 The DiversityFIRST™ Leadership Awards for 2018 will be presented during the Annual Best Practices and DiversityFIRST™ Awards Luncheons in October (Central Texas, Dallas, Gulf Coast and San Antonio) and November (Fort Worth). The winners will be notified no later than four weeks prior to the event date so that arrangements can be made for their participation, along with family, friends, and colleagues. Communications regarding the award winners will be publicized through various media sources. All information must be received no later than 5:00 p.m. on Friday, July 27, 2018. Please note that there will be no extensions granted. Submit the information using one of the 3 following. 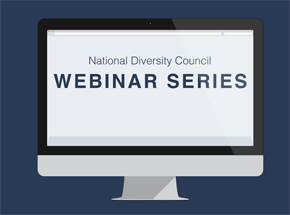 Provide data and/or narrative supportive of the individual's, corporation's or organization's commitment and impact to Recruitment, Talent Management/Retention, and Cultural Competency. Provide data and/or narrative supportive of the individual's, corporation's or organization's involvement with the local community and volunteerism. Provide data and/or narrative supportive of the individual's, corporation's or organization's involvement in the areas of improving services and product needs and preferences of diverse consumer bases.